Please, fill out the form to join the Friends Club Borsao. 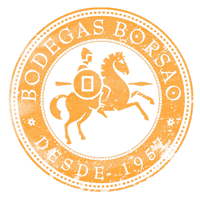 The Friends Club Borsao is a club where anyone interested in Bodegas Borsao and everything related to our common value, the wine, can register. Soon we will publish the benefits and advantages of being a “friend” of Borsao. Meanwhile you can sign up and we will keep you informed. We will be happy to be friends. The data provided will be incorporated into the file “Friends Club Borsao” with the responsibility of Bodegas Borsao S.A., in order to manage the information requests, subscription to the newsletter and contact. In addition, they will be used to send you information, including by electronic means (email, SMS, etc.) about products and services related to those in which you have shown interest, as well as a future commercial information bulletin.